Contains the most extensive, up-to-date coverage of pretrial procedure available in Texas, with treatise discussions, forms, and procedural guides. 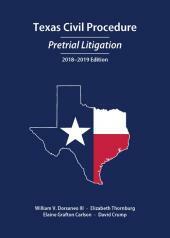 Until recently, comprehensive coverage of pretrial civil procedure in Texas was restricted to those with access to the 26-volume Texas Litigation Guide. 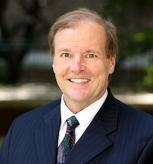 Now the author of this seminal work, Professor William V. Dorsaneo III, has collected portions of the guide pertaining to civil pretrial procedure and compiled them into a convenient, affordable desktop set, Dorsaneo's Texas Pretrial Procedure. Dorsaneo's Texas Pretrial Procedure contains the most extensive, authoritative, and up-to-date coverage of pretrial procedure available in Texas. In step-by-step fashion, Professor Dorsaneo guides the practitioner through the prelitigation process that provides the critical foundation for a successful case to a thorough discussion of strategies that can be used to secure a disposition before trial. 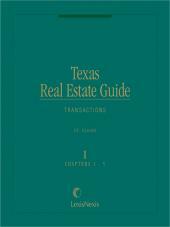 In the process, he provides in-depth analysis of such issues as plaintiffs pleadings, service of citation, forum selection, and discovery, all updated to reflect recent changes in the Texas rules. 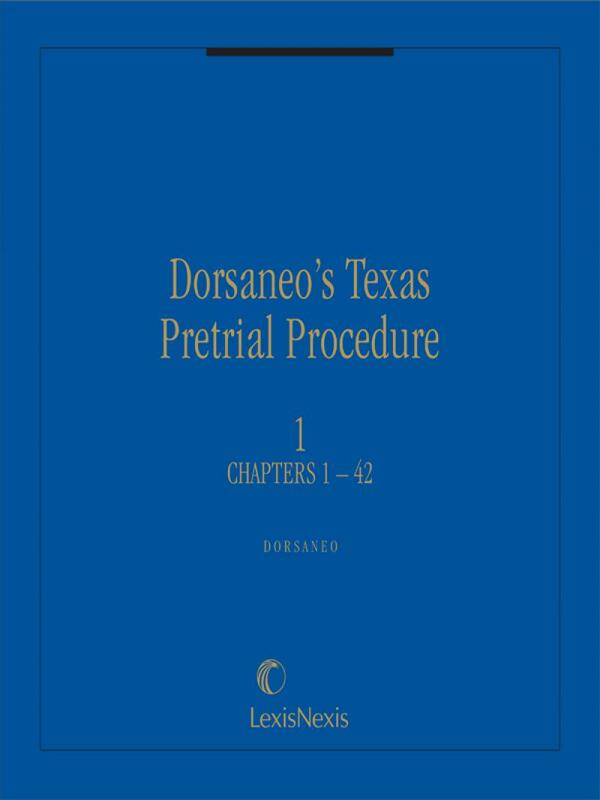 Dorsaneo's Texas Pretrial Procedure is a complete practice guide including treatise discussions, procedural guides, and the highly regarded forms that are a mainstay of the Texas Litigation Guide. 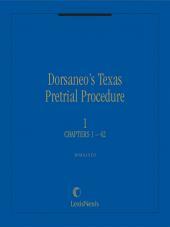 Logically organized and comprehensively indexed, Dorsaneo's Texas Pretrial Procedure is easy to use. Thanks to a form index as well as a main index, attorneys can locate the material they need in a matter of seconds.